On Friday the 13th, horror fans have something to celebrate, Shudder will be airing a 24 hour marathon, The Last Drive-In. Aside from 24 hours of horror, there is something else, or someone rather, to be excited for. Joe Bob Briggs! 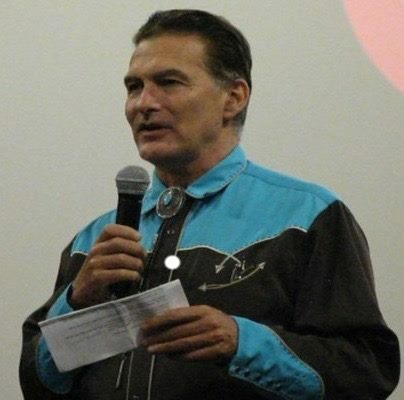 You heard right, Joe Bob Briggs is returning to the Drive-In one last time! Joe Bob Briggs holds a special place in our hearts. Growing up as horror fans, Friday night meant Monstervision on TNT. That meant that our guide into horror was Joe Bob Briggs. Some people grew up with Svengoolie or Elvira, but for us, our horror host always was (and will be forever) Joe Bob Briggs. 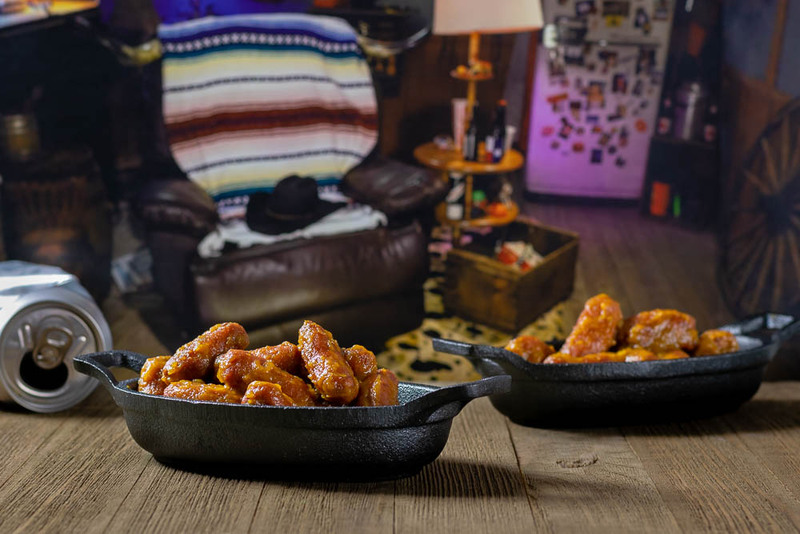 We’ve collaborated with Shudder to create some new recipes for The Last Drive-In. However, that’s not all! We had an opportunity to interview Joe Bob himself! He even shared a delicious albeit spicy recipe with us! But enough talk, let’s get started! You and Matthew are tossing back some pretty huge glasses of red wine in that profile picture, so I already like you. Go ahead, ask me some toughies. The Last Drive-In marks your first “on-air” return since 2000. How did you prepare for it? Three hours of daily cardio at Gold’s Gym. Not really. More like, “What do I know about this film today that I didn’t know twenty years ago?” Although I still don’t trust the Internet—I find outrageous lies on there all the time, and I don’t mean opinions, I mean things like box office estimates. Do you have a comfort film? That is, is there a movie that you go back to frequently? I can watch This Is Spinal Tap nine thousand times and still laugh. What are three movies you’d recommend for someone who wants to have a drive-in-themed movie night at home? What are your thoughts on the current state of horror? What trends are you loving and which do you think are done? Horror had its most “mainstream” year in history, what with Get Out, It!, and The Shape of Water all attracting the fascination of the general public. This can go in one of two directions—a lot of well-financed copycats or a true renaissance, with people hungry for new horror subgenres. Nothing in horror is ever really “done”—everything is cyclical—but anyone making a zombie movie in 2019 needs to come up with some new themes. Do you see a future resurgence for horror hosts through streaming outlets like Shudder? What advice do you have for someone interested in becoming a horror host? With the huge amount of content out there, most of it just listed on user menus, we’ll certainly need some experts to sort it out. The reason hosts disappeared in the first place is that more and more of the programming hour was taken up with commercials and eventually there was no room for what the industry calls “interstitial” material. That era is over—we have unlimited jawbone time in the digital universe. My only advice for aspiring horror hosts would be: Celebrate the movie, not your own schtick. At some point during the Shudder marathon I’m going to do a little tribute to the late John Zacherle, who in my opinion was the first and the greatest of horror hosts. He could be as goofy as they come, and he liked to speak with a comic pseudo-Dracula voice, but he always put the movie first. Love the genre, love the fans of the genre, and they will love you back. We are so grateful that Joe Bob took the time to speak with us! 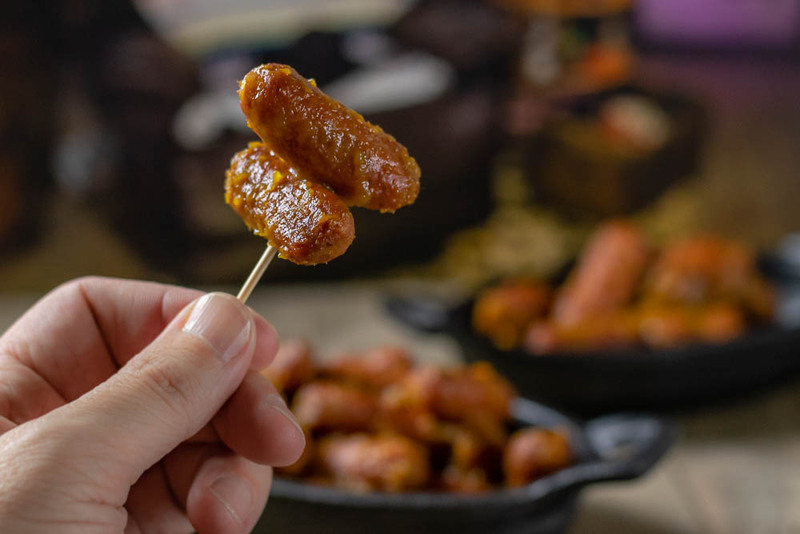 Be sure to to check back for our 3 BRAND NEW recipes created for The Last Drive-In! The Last Drive-In will air on Shudder TV on Friday the 13th starting at 9 pm EST/6 pm PST. This means you’ll need to have the Shudder app (which is totally worth getting anyway, and no this isn’t sponsored). So head over to https://www.shudder.com/ and get signed up! See you all there! Bring to a boil on the stove top. Simmer til the liquid is gone and everybody in the room has passed out from the fumes. *The Geeks were not compensated or given any comped items to facilitate this write-up; Opinions and recipe are wholly our own. View our Disclosure Policy for more info. Am I to use the entire bottle of Yellowbird Habanero Hot Sauce for the recipe? Yup! If that’s too hot though you can use half a bottle. Is this why we saw Joe shifting in his seat every so often during the marathon? A few too many smokies? They don’t sell Yellowbird Habanero Sauce where I live. What’s a good substitute? Generally I’d say any habanero hot sauce that is a bit thicker would work.